The SELCO Programming Kit G0100 is the connection between the PC and the SELCO G-Line relay. 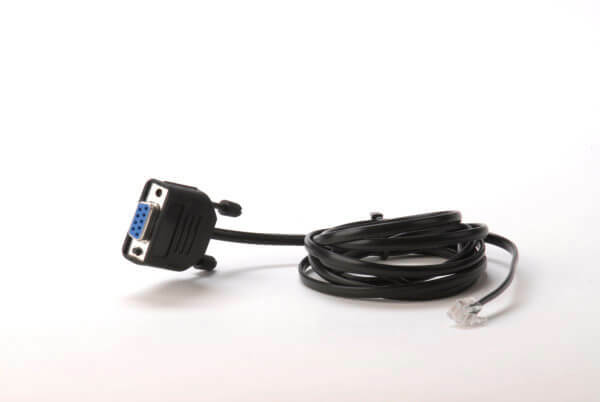 The G0100 includes a special communication cable, which connects the PC serial port to the PROG connection of the SELCO G-Line relay or T7900 Electronic Potentiometer. The SELCO G-Line protection relays are supplied pre-configured and ready for use. The optional programming kit provides the end user with the capability to reconfiguring the basic functions of the SELCO G-Line relays. Reconfigurable options include the relay’s basic function, trip scales, delay scales, relay contact behaviour, reset function, etc. The G0100 Programming Kit connects G-Line the PROG interface to the RS232-port of a PC. A TTY terminal emulator, such as HyperTerminal included with Microsoft Windows can be used as the programming tool.